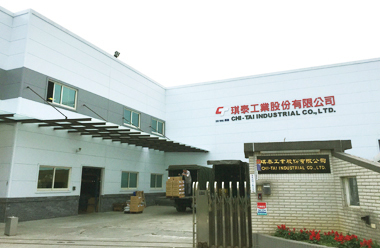 Founded in 1983, Chi-Tai, one of the leading aluminium die casting companies, is specialized at producing die casting products, precise molds, and precision parts. Adhering to the business philosophy of endeavoring to satisfy the clients' demands and expectations, we establish the image with management, and the reputation with the technological quality. 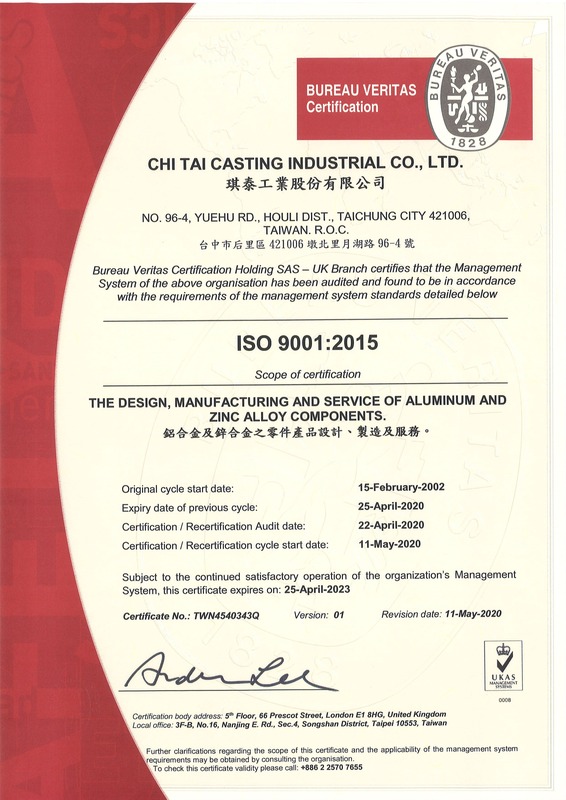 Furthermore, we passed the ISO-9001 international quality certification in 2002 that proved our company is a professional aluminum alloy and zinc alloy die casting company. Our die casting parts products completely tally with the demands of each client, including the automobile and motorcycle precise parts, the air pump parts and components exclusively for bicycles, the projection lamp parts and components, the gas ignition system parts and components, and 3C electric home appliance product parts and components, etc. Although for many years, we have involved in the partial subcontracting work, we are developing the overseas market energetically. Besides focusing on producing the aluminum alloy and zinc alloy die castings, we also provide the design and OEM services. 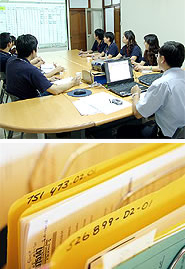 On management and production, we step forward toward SOP manufacturing process standardization, heighten the target management and quality management, strengthen the interior integration of the work team and the product consistent operation strict control, and introduce the Japanese Mitutoyo-brand CNC three-dimensional synchronizing measurement instruments to elevate the mould gauging ability to offer the clients the more precise and steadier quality further. Customers' benefits and opinions are our biggest motivations for growth, we will continuously innovate, progress, and make efforts with the principles of respecting profession, quality first as well as service first, and always be thankful and contributive. We hope to be your most loyal and reliable partner always. been recognized and approved by the industrial circles.